Corporate Gifting, rewards for your employee, and business gifts to your customers has long been a way to promote your company. Miscellaneous items such as branded pens, notebooks and mugs are just a few of the redundant gifts you could expect as an outstanding employee or loyal customer. These physical, unwanted gifts are becoming redundant and the smart gifters are moving to digital. Our corporate gifts are digital, which means they’re easy to move around. So rather than individually handing out your brand own 5000 pens at the end of the fiscal year that no one will ever make use of, we have a solution. We cut distribution costs, and our delivery is instant. Those same 5000 employee can receive instant gratification at the click of a button. Our eGift Cards give access to our online mall containing a vast range of a brands and retailers. These brands can be personalized, and show gratification to the people you are targeting. We have high-end retailers for that client you are trying to impress, great experiences for the customers you are trying to attract, and also close-to-cash cards for your blue-collar employee who needs everyday goods. Our digital gifting solutions will be very easy, convenient and useful for all the companies who are looking for corporate gifts in Dubai. 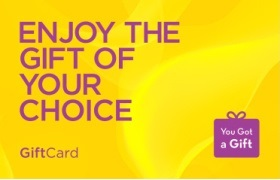 Above all this, our most popular gift cards, our generic card, the YouGotaGift.com card allows a receiver to choose anything they want. The Mall Of the Emirates & City Center gift cards will help companies to reward their employees, business partners and customers with the choices of all popular bands. With YouGotaGift.com we have a wide selection of brands including major jewelry retailers, cosmetic & fragrance stores, and shopping malls. We also cater to foodies, fashionistas, movie gooers, music lovers and extreme sports & outdoor activities. With all these options, you can be sure the person receiving the gift will get a chance to choose what they real want helping you achieve what you want while keeping the mood and avoid disappointment. Gift Cards from 80+ popular brands across all major retail verticals including supermarkets, malls, fashion, electronics, well being, dining and more. Instant gratification. No waiting for shipment to arrive by post. 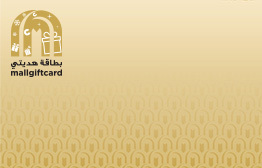 eGift Cards are sent within seconds digitally. Easy redemption. 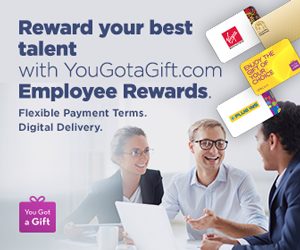 eGift Codes are saved in the eWallet on our YouGotaGift.com app for instant access or redeemable by showing the eGift Code in the email. No set-up fees. No minimum order or commitment. Our gifting solution is absolutely free. And finally gift receivers can choose the gift of their choice. This entry was posted in Corporate, YouGotaGift.com and tagged Corporate Gifts, Corporate Gifts in Dubai on March 10, 2016 by Renu Shenoy.